In the days and weeks leading up to the Greek election, something happened that I never thought was possible. I completely lost faith in Europe. Faith in its capacity to be the force for good in all the ways I had defended it over a decade, and in its capacity to serve its people. 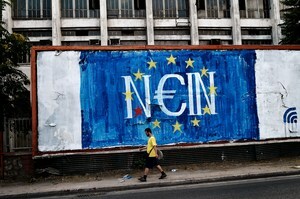 I suddenly realized that the Euro had single-handedly destroyed the European project and my European dream. When I started writing about Europe, a little under two years ago, we were debating a possible Greek exit, followed by a plausible German exit. Today the annihilating and destructive forces of the Crisis and austerity politics have come full circle and, once again, we are debating both exits. I would say „first as tragedy and then as farce“, but there really is no comedy or bitter irony this time around. The euro has not only failed, it has also eradicated any sense of solidarity, duty, and compassion among the people of Europe, and the prospects of a more prosperous and stronger Europe. Eight years after the crisis struck, there is nothing left to „save“ or „strive for“. And I think we have lost any comprehension for what this could even mean. All we’re left with now is a hostile, bitter and sterile “economic” choice. 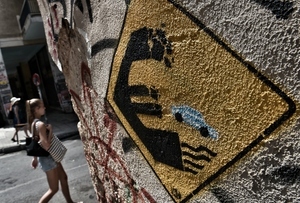 Either Greek debts are cut – or they leave the euro. Either massive quantitative easing and investment plans are enforced to save the continent’s economy – or Germany is too strong to stay in the Eurozone. There are literally no other options. As we stand here today, faced with these bleak choices, it is important to remember that it didn’t have to end this way. When the euro was introduced, back in 2002, its construction flaws were obvious. But rather than introducing a currency system that could function, our leaders chose to focus on the short-term benefits (access to new markets, the easy flow of money) and ignore the challenges that lay ahead. They chose the path of least resistance, meaning that we would either have to meddle our way through or dig ourselves out of our self-made graves when the market inevitably pushed us into them. They chose to cling onto every last inch of national sovereignty rather than to present their voters with the daunting prospect of a „fiscal union“. I don’t know how they thought it was going to pan out. Perhaps they thought voters wouldn’t notice the system’s fundamental flaws, but what they have ended up with is the mass eradication of wealth and the greatest rise in nationalism, right-wing sentiment, and euroscepticism conceivable. The bailouts, the ESM, the OMT, and the prospects of debt cuts are as much the results of the crisis as they are part and parcel of an inherently dysfunctional euro. This is effectively the euro they created, and created willingly. This is what Mr. Tspiras calls the natural course of „Taliban neoliberalism“ and what I would like to call „cowardly politics“– the kind of politics whereby Ms. Merkel doesn’t admit austerity has failed and leaves it up to the ECB to take charge, or where Cameron chooses to hang in limbo on Europe for years awaiting the results of his referendum. These are harsh and radical terms, but perhaps it is time to embrace some of Mr. Tspiras’ radicalism. The only way to bridle the course of the euro and to save Europe is by radically transforming it. If that means bringing down old beliefs that no one truly believes in, opaque institutions, and unaccountable mechanisms of power, then so be it. I say ‘radical’; all I really mean is “doing that which the most basic economic logic would dictate”, and ignoring how far politics in general has moved to the right. Sensible acts of faith in our future include not so much quantitative easing as Eurobonds, debt cuts, massive investments, new social policies, and a unified tax system. Placing our entire future in the hands of market forces, the ECB, and the odd referendum is not only a toxic risk: it is a cowardly move by politicians unwilling to show any capacity for leadership. When Mr. Tspiras says we „need to defend ourselves and our future with all means possible“, he’s not wrestling with his superego or some fictitious totalitarian past. It’s the first sign of courageous and uncompromising politics that we have seen in years. Despite everything that has been done to the Greek people, they have voted in favor of Europe and in good faith that the European project is still viable. 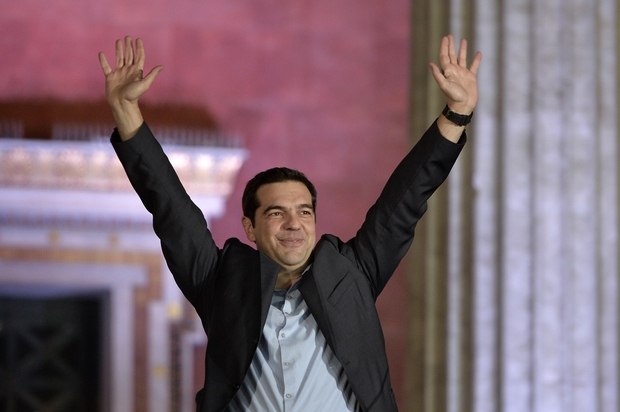 Against all odds and with nothing more to lose, „hope won“ in Athens last night.